The Washington Liquor Control Board says owning a still is illegal, however, Revised Code of Washington (RCW) provides that it is illegal to “…operate without a license, any still or other device for the production of spirituous liquor, or shall have in his or her possession or under his or her control any mash capable of being distilled into spirituous liquor…”. Therefore if the still is not being used for the production of spirituous liquor it should not be illegal. It appears that evidence showing that the still was actually used for alcohol production would be required to make mere possession illegal. Can still be seized? Yes, see below. Can additional property be seized? Yes. (RCW) Section 66.32.020 provides for the seizure of all intoxicating liquor …., together with the vessels in which it is contained, and all implements, furniture, and fixtures used or kept for the illegal manufacture, sale … “ of alcohol if there is evidence that intoxicating liquor is being manufactured, sold, bartered, exchanged, given away, furnished, or otherwise disposed of or kept in violation of the provisions of this title. Can property be seized? Yes. (RCW) Section 66.32.020 provides for the seizure of all intoxicating liquor …., together with the vessels in which it is contained, and all implements, furniture, and fixtures used or kept for the illegal manufacture, sale … “ of alcohol if there is evidence that intoxicating liquor is being manufactured, sold, bartered, exchanged, given away, furnished, or otherwise disposed of or kept in violation of the provisions of this title. Yes. 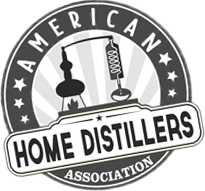 A Craft Distillery Permit is available and allows the production up to 60,000 gallons of spirits annually; Permit holder may sell two liters per day per person of spirits of his own production for off-premises consumption. Sales must be reported monthly to the Liquor Control Board; All spirits must be sold at Washington liquor stores, with the exception of the product Permit holder can sell at his distillery. There is a large commercial Distiller/Rectifier License, as well, but I assume that is not the information that you need. Location of commercial distillery permit application online? Must have a Washington Business License (Application at http://bls.dor.wa.gov/forms/700028.pdf) and a Liquor Control Board Addendum-Non-Retail Application. Cannot be done on line-Application must be submitted by mail. Go to http://liq.wa.gov/licensing/apply-liquor-license for more information.